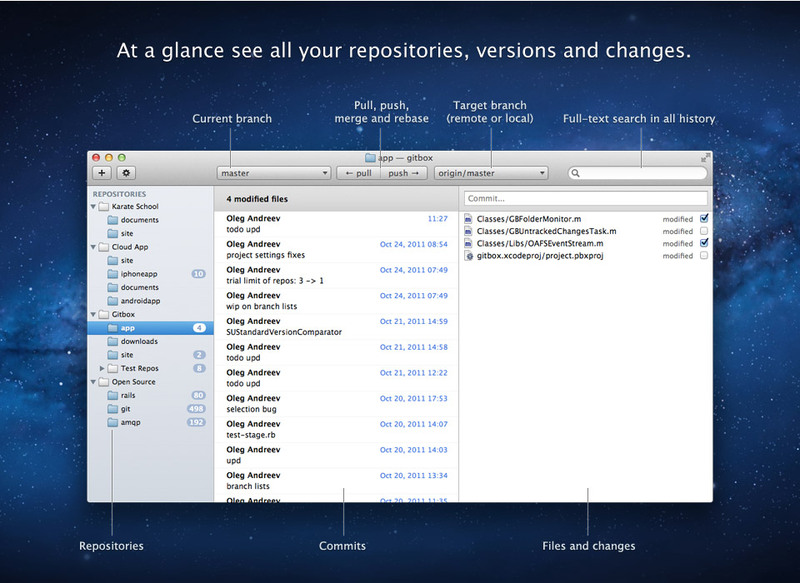 Gitbox is a Mac OS X graphical interface for Git version control system. In a single window you see branches, history and working directory status. Everyday operations are easy: stage and unstage changes with a checkbox. Commit, pull, merge and push with a single click. Double-click a change to show a diff with FileMerge.app.